José van Dijck is a professor of Comparative Media Studies at the University of Amsterdam. Her latest book is The Culture of Connectivity. A Critical History of Social Media (Oxford University Press, 2013). Wikipedia content is a rich source for social and cultural research. Although Wikipedia strives for encyclopedic credibility of its content, the process of reaching that standard often involves conflict about the significance of specific views, the reliability of sources, and the relevance of materials relating to the subject matter. In its backend, Wikipedia meticulously logs all edits to, and discussions about, an article’s content. Instead of looking at Wikipedia articles as finished products, we scrutinize the negotiations about encyclopedic content, investigating which topics within an article have given rise to dispute. We present a tool called Contropedia that, based on the edit history and talk pages, identifies which topics within a Wikipedia article have been most controversial, when, and why. We raise the question whether the credibility of Wikipedia content can be increased by more showcasing more dispute within an article. Erik Borra is a PhD candidate and lecturer at the University of Amsterdam's MA program in New Media & Digital Culture. He is involved in the European research project ‘Electronic Maps to Assist Public Science’ (EMAPS). Esther Weltevrede is PhD candidate and lecturer at the New Media & Digital Culture program, University of Amsterdam. In the main Wikipedia is treated and evaluated as an encyclopedia; it also describes itself as an encyclopedia. But Wikipedia is also studied as a collaborative authoring platform, participatory community, free-labour exploitation economy, one of the world’s better functioning bureaucracies as well as a tool for publicity management. All of these non-encyclopedic notions of Wikipedia are not necessarily incompatible with its being called an encyclopedia. But if one were to call Wikipedia not a reference work but a set of particularistic cultural references, its ‘encyclopedianess’ may be in question. That is, if one studies the same article across different Wikipedia language versions, and if these articles are distinctive from each other in word and image, is Wikipedia still to be described as encyclopedic? The talk discusses how to study Wikipedia as a cultural reference work, and points out that whilst it may not be an encyclopedia in the sense of a universal knowledge source, paradoxically Wikipedia may still have neutral points of view. Richard Rogers is professor in New Media & Digital Culture at the University of Amsterdam. He is Director of the Govcom.org Foundation, and the Digital Methods Initiative. Rogers is author of Information Politics on the Web (MIT Press, 2004) and Digital Methods (MIT Press 2013). The open nature of Wikipedia means that researchers can download not just the content of Wikipedia, but also the editing history of all the articles, leading to a treasure trove for research into the collaborative models behind the different projects. Jimmy Wales will speak about the meaning of Wikipedia to the world in terms of democratizing access to educational resources and will talk about the need for further research into the different aspects of Wikimedia, it’s projects and volunteer models. 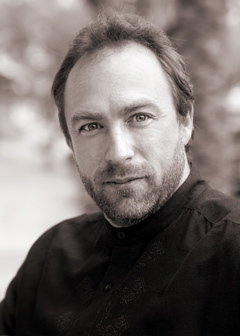 Jimmy Wales is an internet entrepreneur best known for founding the open-content reference site Wikipedia. In 2001 Wales founded Wikipedia, which became the world's largest encyclopedia. Wales also founded the for-profit web-hosting company Wikia, and has advised governments and universities.